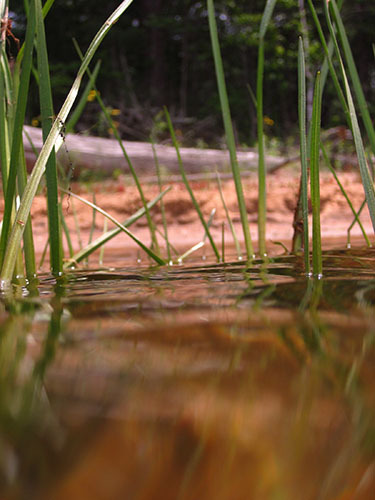 We often call aquatic plants "weeds" but they are a natural and essential part of our lakes. 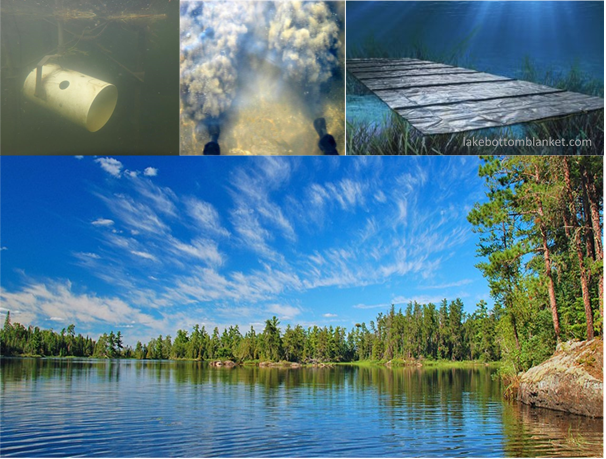 Aquatic plants provide benefits for fish, wildlife and you – no matter how you enjoy the Minnesota's beautiful lakes. We encourage property owners to minimize the destruction of aquatic plants. Ask yourself: what's really needed to access your property and recreate? 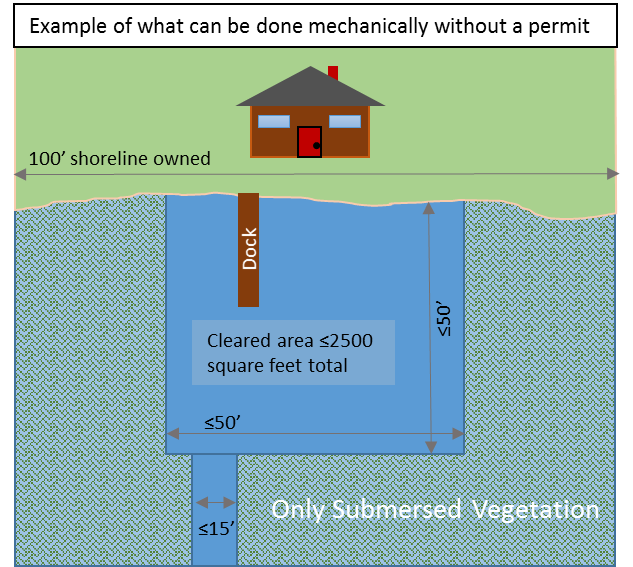 Some activity with low ecological impacts can be done without a permit depending on the the type of vegetation. What kind of aquatic plants do you want to remove? Excavate the lake bottom for aquatic plant control. Use hydraulic jets to control aquatic plants or remove muck. Destroy or prevent the growth of aquatic plants by using lake bottom barriers. Remove aquatic vegetation within posted fish-spawning areas. Remove aquatic plants from an undeveloped shoreline. Remove aquatic plants where they do not interfere with swimming, boating or other recreation. 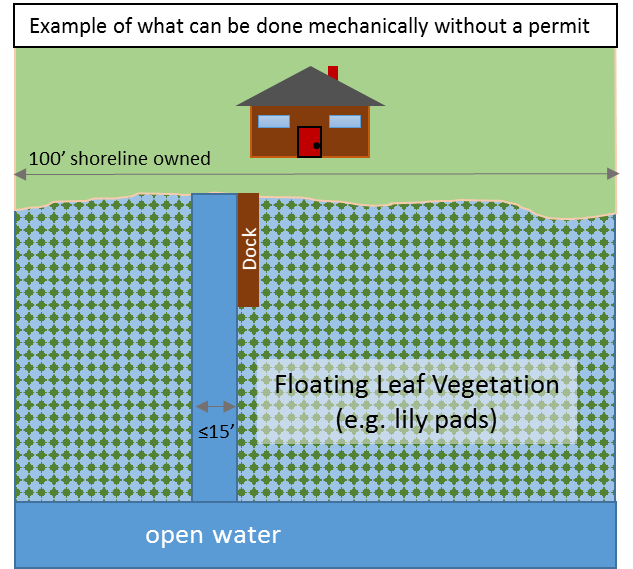 You may mechanically maintain a 15-foot wide channel though floating-leaf vegetation extending to open water without a permit. Any greater removal will require a permit. The area is less than 2,500 square feet. The area extends less than 50 feet along the shore or one-half the length of your shoreline, whichever is less. The channel is 15 feet wide or less. Plant removal does not significantly alter the lake bottom. All plants are disposed of on land. Submerged plants have stems and leaves that grow entirely underwater, although some may also have floating leaves. Flowers and seeds on short stems that extend above the water may also be present. Submerged plants grow from near shore to the deepest part of the littoral zone and display a wide range of plant shapes. Depending on the species, they may form a low-growing "meadow" near the lake bottom, grow with lots of open space between plant stems, or form dense stands or surface mats.